LOS ANGELES (Dec. 28, 2010) – WBA and IBA Light Heavyweight World Champion Beibut Shumenov (10-1, 6 KOs) arrived home in Shymkent, Kazakhstan for his January 8 Unification showdown against WBO Light Heavyweight World Champion Juergen Braehmer (36-2, 29 KOs). 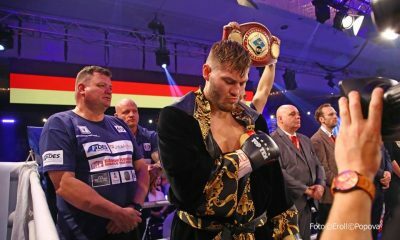 “The Unification,” presented by Goossen Tutor Promotions and KZ Event Productions in association with Universum Box-Promotions, will feature Shumenov and Braehmer putting their respective titles on the line in a 12-round WBA-WBO Light Heavyweight Unification World Championship bout at the Ice Mansion. 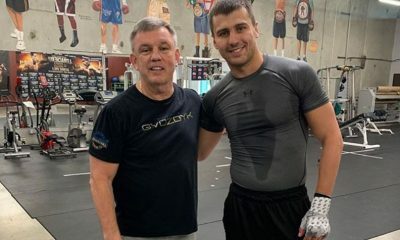 Shymkent-native Shumenov, who now fights out of Las Vegas, owns and operates KZ Event Productions along with his brother Chingis, and is promoted by Goossen Tutor Promotions. Thursday January 13, 2011, HD Boxing presents “Rumble at Remington II at the Remington Park Casino in Oklahoma City, OK. “Comanche Boy” George Tahdooahnippah, (25-0-1) of Lawton, OK will battle the tough and rugged Eloy Suarez (11-8-1), from San Antonio, TX, in the main event. NEW YORK (Dec. 27, 2010) – The all-time record for most consecutive first-round knockouts, Philadelphia junior middleweight Tyrone “Young Gun” Brunson (21-1-1, 20 KOs), has signed an exclusive promotional contract with Boxing 360. 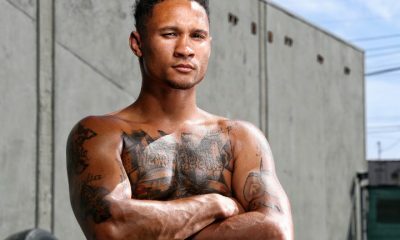 A Philadelphia native who has been living in Las Vegas, the 25-year-old Brunson will soon be joined in his adopted Nevada home by his new trainer, former world champion Livingstone Bramble. “I moved to Las Vegas to better my career and now I’m adding Livingstone Bramble to my corner,” Brunson said. “I guess it’s the politics of the game but, after my only loss (Dev. 4, 2009), I didn’t fight. I was still under contract with Gary Shaw and six months ago he was good enough to grant my release. Mario had been at a few of my most recent fights. I signed with Boxing 360 because Mario gave me a chance when nobody believed in me. Brunson made his pro debut April 22, 2006, knocking out Kevin Casey in the first round, and Tyrone broke the record for opening-round stoppages — 18 held by the late Edwin Valero — March 29, 2008 versus Francis McKechnai. 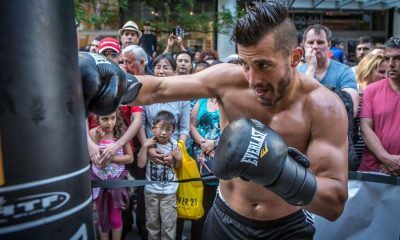 His 19 in a row record streak was snapped in his next fight when Antonio Soriano took him six rounds for a majority draw. Bounce back victories against always tough Marcos Primera (DEC8) and game Jose Medina (KO3) set the stage of Brunson’s last fight, in which Carson Jones knocked out Tyrone in the third round a little more than a year ago. “The record was good and bad,” Brunson explained. “It helped me get notoriety but it also hurt my chances to grow as a pro. I learned that it’s just a record and I want to be known as world champion. I’m starting fresh with Boxing 360 and I’m going to prove to the world that I can fight. 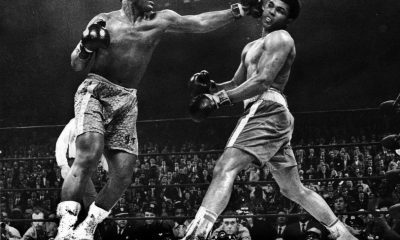 People are going to see my punching power and speed, but I have better ring generalship and I learned the hard way that I have to keep my left hand up at all times. Other members of Boxing 360’s stable include USBA heavyweight champion Maurice “Sugar Moe” Harris, 2004 U.S. Olympian Jason “Big Six” Estrada, Mike Mollo, world super bantamweight contender Leon “Hurry Up” Moore, Joshua “The Juice” Harris, Emad Ali, former IBF super middleweight champion Alejandro “Naco” Berrio, NY State super middleweight title-holder Lennox “2 Sharpe” Allen, Angel “Toro” Hernandez and “King” David Estrada. Go to www.Boxing360.com for more information about Brunson, Boxing 360 or any of its other fighters. When fight fans last saw USBA light welterweight champion Tim ‘Pitbull’ Coleman (18-1, 5 KOs) he was in the ring celebrating his spectacular TKO victory over former Olympian Patrick Lopez (20-2, 12 KOs) of Venezuela. The bout took place this past October at the Chumash Casino in Santa Ynez, California on SHOWTIME’s ShoBox fight series. The odds were stacked against Coleman who was an underdog in the fight, but to go out and win the fight the way he did was even more unlikely. Coleman of Baltimore, Maryland returns to the ring on the undercard of the January 29th showdown between WBO light welterweight champion Timothy Bradley (26-0, 11 KOs) and WBC champ Devon Alexander (21-0, 13 KOs). Coleman will meet unbeaten light welterweight prospect Vernon Paris (23-0, 14 KOs) from nearby Detroit. The bout is currently scheduled to be fought at a catchweight of 143 pounds and 10 rounds. The site of card will be the Silverdome in Pontiac, Michigan. Though just 26 years of age Coleman has taken the long road just to get where he has now in over 5 and half years as a professional. 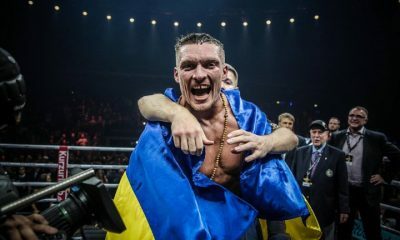 Though he had a solid amateur career he didn't enter the professional ranks with Olympian like credentials like others and never has been backed by a major promoter since turning professional. Thus meaning a lot of fights on club shows for small purses against tough opponents. 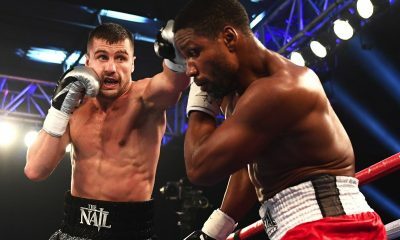 Coleman’s career took a turn for the better about a year ago when he upset former world title challenger Mike Aranoutis in his backyard of New York to win the USBA light welterweight title. Then came the recent upset of Lopez to retain his title. The Lopez win was major as it was televised on SHOWTIME and also because promoter Gary Shaw picked up options on Coleman’s next few fights which is why he got this fight with Paris. Coleman never one to bite his tongue spoke out recently as he is currently training for his upcoming fight. I know that Lopez’ people were very confident that he would beat me. Though I was defending my title I know I was being brought in to lose. I had other plans though and I made a big statement in front of a large television audience. There was a lot of talk about Lopez being a former Olympian but I didn't care about all that. 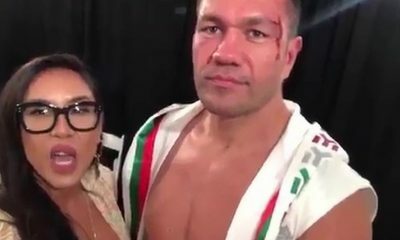 He and his people must have been back in their dressing rooms a good 3-4 hours after the fight as they really took the loss hard. We have actually sparred before. I can tell you he definitely is not a puncher. Like most Midwest guys with a amateur background he can box. I know the Midwest fighters get a lot of bad press but those with serious amateur backgrounds from there almost always have solid boxing skills. The boxing doesn't worry me though as I am not coming to box. I’m coming for knockouts from here on out. If Paris even thinks about disrespecting me at the pre-fight press conference or the weigh-in I will put him in his place quickly. Even in his hometown. He hasn’t fought anywhere near the competition that I have fought. Not even close. I will be the biggest name he has fought to date. I wouldn’t be surprised if I’m picked to be the underdog in this fight since I’m fighting in his backyard. After beating Lopez, Gary Shaw got options on my next few fights but I honestly don’t feel he sees me as one his fighters. I’m sure he will have more interest in me after I take care of Paris. A lot of people may not like the fact that I am so straight forward with my comments but that’s who I am. From here on out I’m coming to knock guys ASSES out!!!! Plain and simple. That’s what people want to see and that’s the only way I’m going to get a money fight. I’m giving myself a 3-4 year window to make major things happen in my career. Meaning money fights. I mean that’s what I am in this for. I see former fighters that are broke and worse than that in bad health from fighting. I refuse to end up that way. All I want right now is an opportunity to be in a major fight. I will take care of the rest once I get that. Remaining tickets to the Alexander-Bradley World Junior Welterweight Championship fight, priced from $25-$400, can be purchased at the Silverdome box office, by calling (248) 338-2500 or online at www.silverdometickets.com. 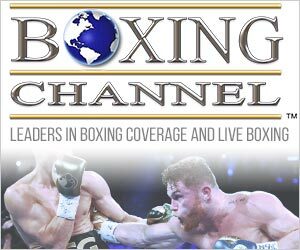 Promoted by Gary Shaw Productions, Don King Productions, and Thompson Boxing Promotions, Alexander vs. Bradley will be televised live from the Silverdome on HBO World Championship Boxing, Saturday, January 29, beginning at 10 p.m. ET / 7 p.m. PT.